Meyer Y. Silber is the principal attorney of The Silber Law Firm, LLC. He has practiced law in New York City for more than 15 years and has appeared in all of the significant courts that hear business, commercial, contract, and partner/shareholder disputes. Mr. Silber graduated from Benjamin N. Cardozo School of Law in 1996, and was admitted to practice in New York and New Jersey. 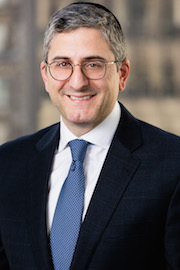 Prior to opening his Firm, he practiced with what was then known as Scarola, Parent & Reavis, LLP, a broad-based multi-office firm which included principal practice areas in sophisticated business litigation and business transactions, employment matters and intellectual property. Since opening his practice in New York City, Mr. Silber has endeavored to take his education and experience and apply it to assisting property owners, businesses, and entrepreneurs and individuals, in their complete business needs. He takes pride in delivering comprehensive and personalized counsel in a small-firm setting, allowing him to provide personalized service, including understanding fully a client’s business concerns and needs, at a reasonable cost. Since he started his practice, he has assisted businesses and individuals involved in business, partner, vendor, and contract disputes, negotiating and drafting documents and contracts for business transactions and investments, obtaining and enforcing trademarks and copyrights, and employment issues. Mr. Silber seeks to refine and adapt these practices as the business landscapes shifts. In addition to offering comprehensive services to his clients, he has a deep network of sophisticated and experienced attorneys ready to assist clients with needs that are outside the Firm’s primary areas. He has received positive feedback from various clients and colleagues. Mr. Silber is a member of the American Bar Association, New York State Bar Association, and the New York County Lawyers Association. These organizations provide further support to the Firm’s practice. 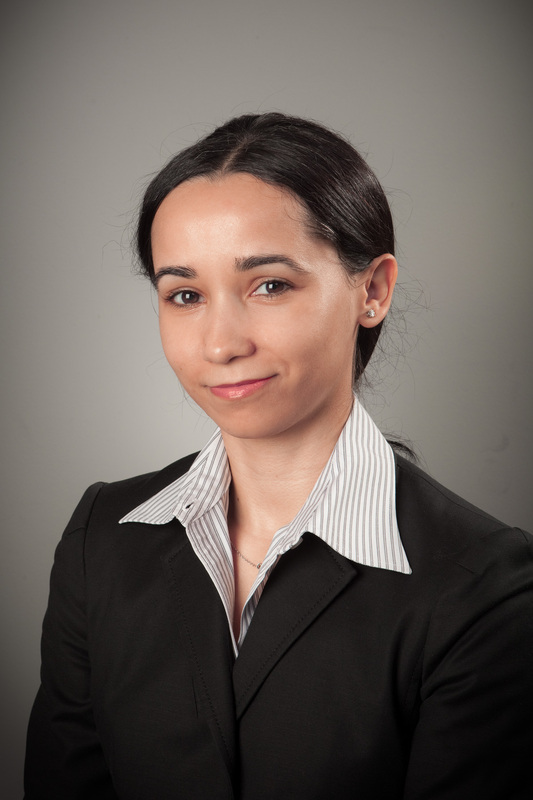 Danielle I. Pedras has been with The Silber Law Firm, LLC, since 2008. She assists small businesses and individuals with their commercial and business litigation needs. Some of her representations include breach of contract cases, non-payment matters, real estate disputes, including land disputes, property damage, foreclosures, and filing and challenging mechanics’ liens. Ms. Pedras is a graduate of Tufts University and received her law degree from The George Washington University Law School. She has been admitted to the New York State bar since 2006, and is a member of the New York State Bar Association and the New York County Lawyers’ Association. 2. Matter of Weiser v. Kohn, 2013 NY Slip. Op. 33700(U) (Sup. Ct., Kings County 2013). 3. Matter of Schwimmer v. Malinas, 2013 NY Slip. Op. 30428(U) (Sup. Ct., Kings County 2013). 4. Renaissance Equity Holding, LLC v. Al-An Elevator Maint. Corp., 36 Misc.3d 1209(A), 2012 NY Slip Op 51234(U) (Sup. Ct., Kings County 2012). 5. Jerez v. JD Closeouts, LLC, 36 Misc.3d 161 (Dist. Ct., Nassau County 2012). 6. Combina Inc. v. Iconic Wireless Inc., 32 Misc.3d 1231(A), 2011 WL 3518185 (Sup. Ct., Kings County 2011). 7. Gorelick v. Vorhand, 83 A.D.3d 893 (2d Dept. 2011). 8. A & D Int’l Corp. Defined Benefit Pension Plan v. Terzi, 29 Misc.3d 1232(A), 2010 WL 5022742 (Sup. Ct., Kings County 2010). 9. Levitin v. Boardwalk Capital, LLC, 78 A.D.3d 1019 (2d Dept. 2010). 10. Globaltex Group Ltd. v. Trends Sportswear Ltd., No. 09 Civ. 0235 (JBW), 2010 WL 1633438 (E.D.N.Y. Apr. 21, 2010). 11. 419 Seventh Ave. Assocs., Ltd. v. Ghuneim, 64 A.D.3d 746 (2d Dept. 2009). 12. Globaltex Group, Ltd. v. Trends Sportswear, Ltd, No. 09 Civ. 235 (JBW), 2009 WL 1270002 (E.D.N.Y. May 6, 2009). 13. Beth Jacob Teachers Seminary Inc. v. Beis Chinuch Le’Bunos-Bas Melech, 22 Misc.3d 1138(A), 2009 WL 782549 (Sup. Ct., Kings County 2009). 14. Hecht v. Components Int’l, Inc., 22 Misc.3d 360 (Sup. Ct., Nassau County 2008). 15. Elm Realty Assocs., LLC v. Leben, LLC, 22 A.D.3d 790 (2d Dept. 2005). We look forward to working with you and giving us the opportunity to exceed your expectations. Please contact Mr. Silber or Ms. Pedras and allow them to explore all of your options with you. We are at 212-765-4567 or feel free to use the email form on the site’s home page.